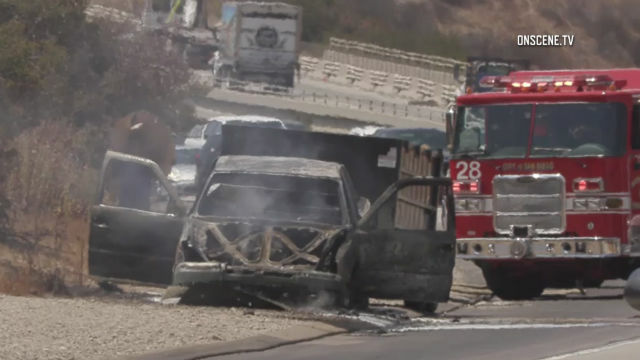 A brush fire several acres in size caused a major backup Thursday afternoon on Route 52 into Santee. The hillside blaze was on the eastbound side of the highway near Mast Boulevard in the area of Mission Trails Regional Park, according to the California Highway Patrol. There were no reports of structural threats from the blaze, which was sparked by a truck fire. San Diego Fire-Rescue called in water-dropping helicopters for assistance. Eastbound traffic was shut down to one lane, causing a backup that stretched for several miles.